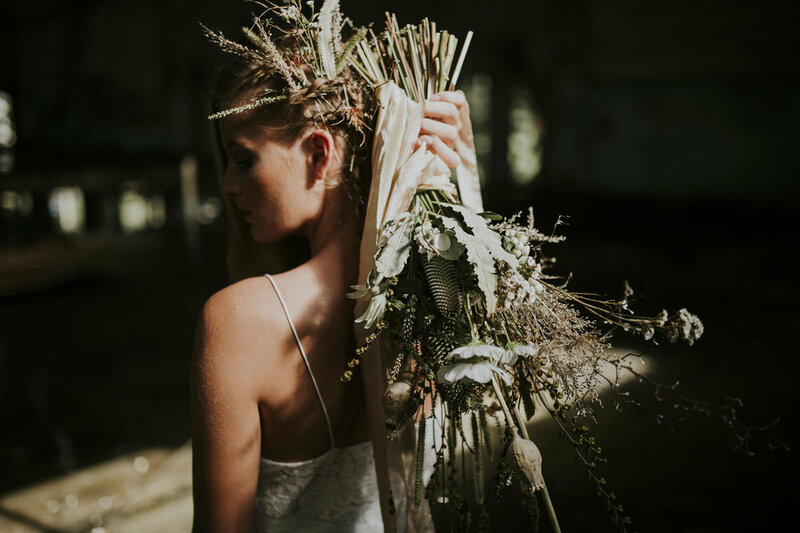 For those of you who know our amazing florist Ash from Film & Foliage, you will know that she is literally the best in the business for florals and styling! 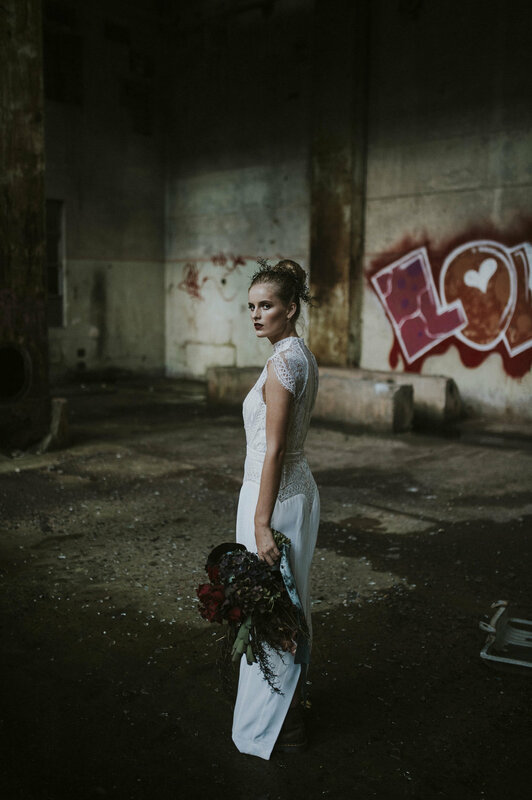 This awesome shoot done at a "Anonymous" location was one moody moment. 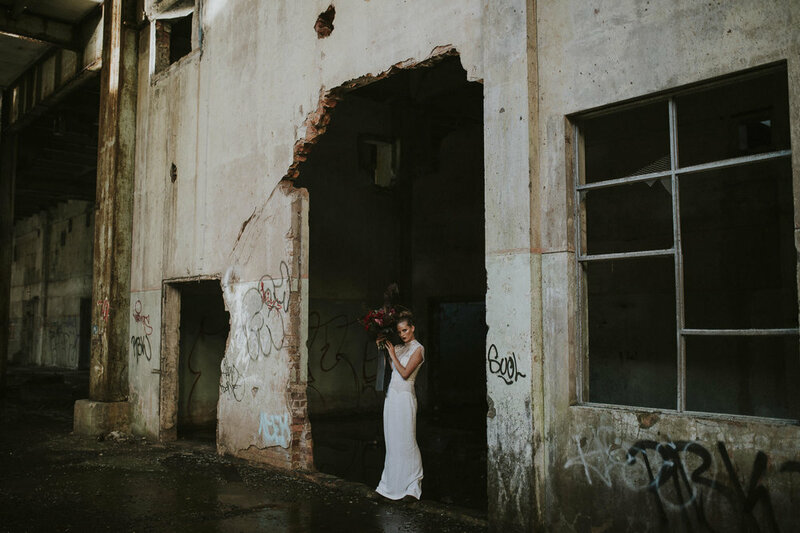 Thanks to all the vendors involved, Barefoot & Bearded for photos, Chic Artistry for hair and make up, Lover the Label for the dresses, Ruby for being an awesome model and of course Ash from Film & Foliage!